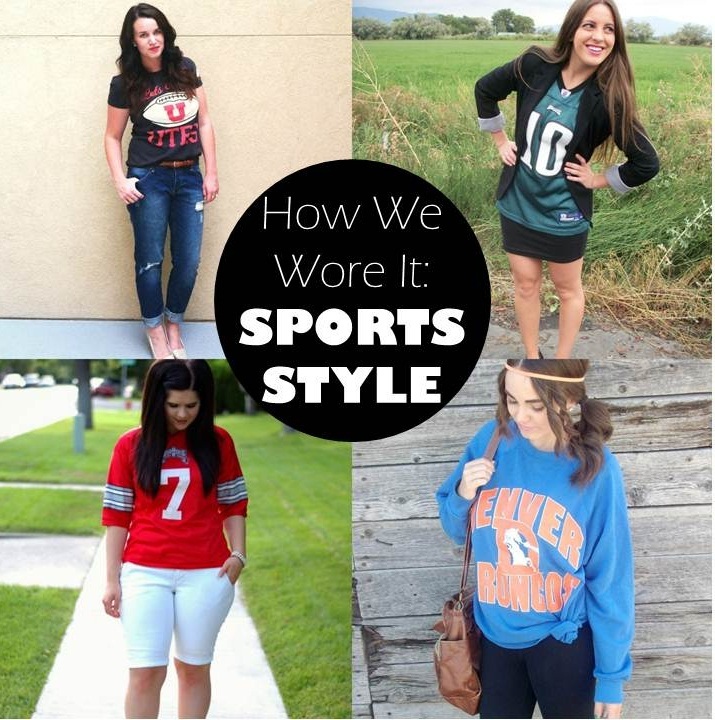 Three other amazing bloggers and I teamed up to bring y'all this How We Wore It: Sports Style Edition! I am so excited about this post! With football season finally here, jerseys and sports gear are going to be in most people's closet. We each put together a look of how we style our sports gear! Make sure to check out the other girl's blogs to see more of their outfits! I borrowed Matt's jersey, I support the Eagles since its Matt's favorite team in the world, but the Houston Texans will always be favorite team! But I like this jersey, and Matt loves it when I sport his team. I paired it with some simple black key items, like a blazer and mini pencil, and my black favorite heels. Sorry I'm wearing these again in yet another post, I just love them that much! But make sure to check back in exactly a week, for our sports inspired giveaway! You won't want to miss it!!! Aw I had no idea you were a texans fan! My husband is from Texas and LOVES them! You look amazing and thanks for collaborating!! Love it! You dressed it up so well! Gorgeous! This is so cute!! I love that you paired it with heels!! Love it!